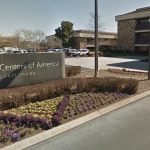 There is a wide-spread and growing problem of nursing home employees stealing pain medications from the patients they are being paid to care for. The industry likes to call this practice of pain medication theft, “drug diversion.” To be clear, theft of pain medication is a form of nursing home neglect and abuse. A study conducted by the Mayo Clinic in 2012 reported at that time that the problem of drug diversion was “a considerable and ongoing problem.” Drug theft is unfortunately all too common right here in Indiana nursing homes. Last October it was reported that a former Hanover Nursing Center nurse had been charged with 11 criminal counts after an investigation revealed the theft of prescription pain medications from residents at that nursing home facility. 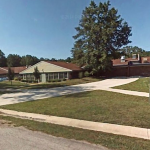 According to the reports, a complaint filed with the Indiana State Department of Health (ISDH) alleged that narcotic count sheets for nursing center residents were incorrect and tablets were missing from the residents’ prescriptions. 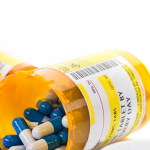 According to the reports, the former employee indicated he would sign out the medication on the resident’s narcotic sheet, then keep the medication for himself. The employee said he knew the theft was “very wrong” and illegal, but he couldn’t stop because his addiction was so strong, according to an affidavit that was reportedly obtained. Similarly, in January of 2015, an Indianapolis woman who was a nursing home employee at Lawrence Manor Healthcare Center was arrested by DEA agents on suspicion of stealing medication from elderly patients under her care, according to news reports. She was charged with several felonies. According to news reports, she was found guilty and sentenced to 910 days minus time served and will serve 892 days on probation. Lawrence Manor Healthcare Center is owned by the Adams County Memorial Hospital, according to the ISDH website. ● more than 90% of U.S. nursing homes employ one or more people who have been convicted of at least one crime according to a Department of Health & Human Services report. The study also revealed that nearly half of the nursing home facilities employed five or more persons with at least one conviction. ● record falsification within a nursing home is not difficult, so verification is very difficult. While drug addiction is often considered a “victimless crime”, drug theft in a nursing home setting is particularly dangerous to the patient for several reasons. First, the patient is denied the medication needed to control what may be excruciating pain. Unrelenting pain can cause not only physical but also psychiatric harm to the patient. In addition, the patient is put at risk of being harmed due to mistakes made by the impaired healthcare provider who stole and took the medication. This problem only stands to get worse as both (1) Indiana’s drug addiction problem grows worse, and (2) a greater percentage of the population, including baby boomers, require nursing home care. ● Look for damaged pain patches. Some drug-seeking caretakers steal medications directly off of their patient’s body. Look for evidence of torn or damaged pain patches that may have been removed and/or replaced. ● Be present during medication administration. While it is usually impossible for family to be present during all medication administrations, to the extent family members can plan visits around medication times to observe whether the patient is receiving the medications they should. ● Look for signs that the patient is experiencing unusual pain. This may be an indicator that they are not receiving the medications that have been ordered for them. ● Look for obviously impaired caretakers. Drug-seeking caretakers will often attempt to continue working even when they are under the influence of drugs. ● Report any suspicion of drug theft to the facility administrator and director of nursing. If you do not receive a satisfactory response, report the concern to the Indiana Department of Health. The Powless Law Firm is an Indiana law firm that represents victims and families state-wide in serious cases involving nursing home neglect, medical negligence, personal injury and wrongful death. If you have concerns about nursing home neglect or abuse, please contact us at 877-769-5377. Together we can make a difference.